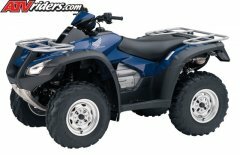 We are starting up a new ATV club in the Tuscaloosa, AL area and are looking for members. If you go to this web site, Trail Riders of Tuscaloosa and become a member I will send you more info, or you can sign the guest book. By signing up you are just showing an interest with no obligation to join later.